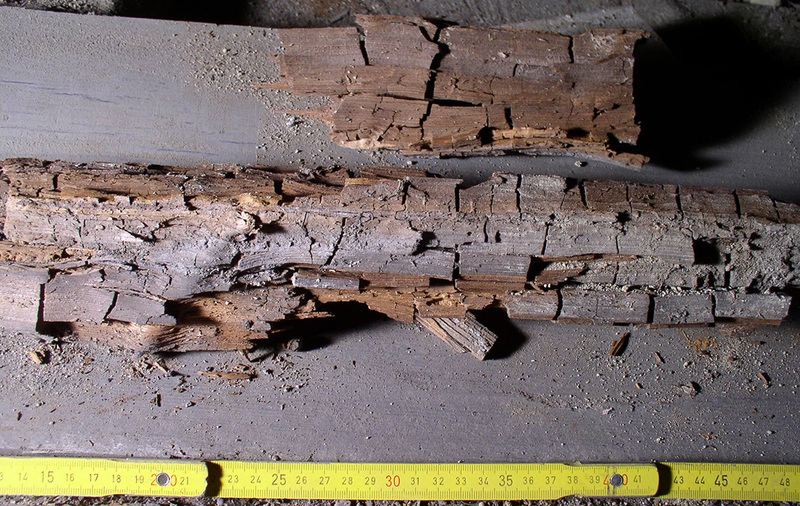 Dry rot occurs typically where there is moisture and/or poor ventilation. An engineer can help identify dry rot as well as design and estimate repairs. Treatment of Dry Rot typically involves replacing or reinforcing the damaged members and correcting the cause. If left untreated, the wood member will lose strength and eventually fail.